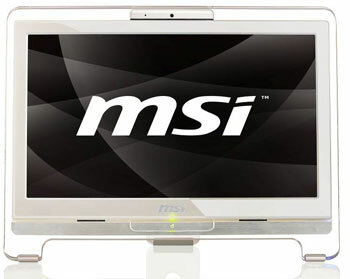 After AP1900, the first All-in-one PC, MSI launch Wind Top AE1900 in the market. Wind Top AE1900 is selecting an elegant white color with a glassy frame, which displays the simplicity of modern individualism and the comfort of home. Furthermore, it is equipped with the best computer features, such as instant message, low acoustics, and energy saving and 802.11 b/g/n wireless internet capability so you may roam freely in the realm of cyberspace. Wind Top AE1900 is certainly ahead of its time, especially with the touch screen function that brings the world right between your fingertips, added a friendly interface, all of the functions are simply right within your grasp. 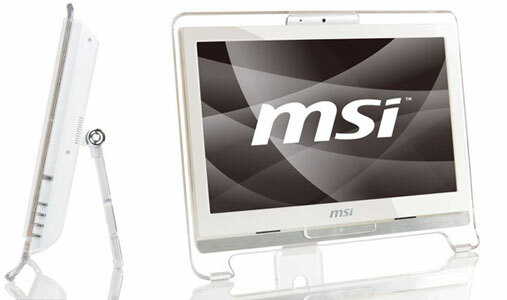 The 19 inch 16:9 screen offers 160 degrees of horizontally wide range of visual enjoyment. It also continues the light and delicacy style of the All-in-one series, so you may enjoy all the freedom for your workspace, keeping things simple and flexible. Wind Top AE1900 offers the touch screen function along with a simple and friendly User Interface; you can simply touch the screen to access all PC functions. Wind Top AE1900 also considered user needs by sorting four categories of work, fun, tool, and web; you can browse through all of the options by simply sweeping your fingers across the screen, and start programs by pressing gently on the graphic icon. Everything is within your fingertips; it doesn’t get any easier than this. 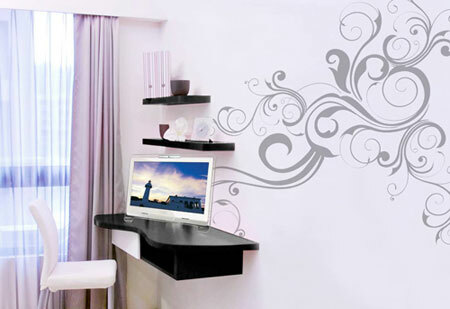 Wind Top AE1900 has a transparent frame design which can be a home decoration. This is unlike the awkward design that most technology products have, and it also saves space and adds more style and fine taste to your personal environment. The16:9 Golden ratios can add 14% more viewing area compared to regular 16:10 screens. It can also avoid the Black Bars on the top and bottom of the screen. It is perfect for displaying HD images from every angle, enjoying a high quality movie, also providing 160 degrees viewing experience. With 5 milliseconds (Tr+Tf) Response Time, the display is realistic and quick with no delays, so the characters remain vivid. Wind Top AE1900 processes the high ratio of 1000:1 and 250 cd/㎡ in brightness, it can display detailed and colorful images even with darker or more complicated pictures. It keeps full colors while processing digital photos, graphics, and other materials. The new Intel® Atom™ Processor is especially designed for miniature and energy-saving units; it is the essential core of the light and thin notebook computers. There are up to 47 million transistors on a chip that is smaller than 25 (mm)², making it the smallest and the lowest energy used Intel processor ever (operation maintained between 1 to 2.5 watts). Furthermore, Intel® Atom™ Processor is more than capable of supporting all of the outstanding features, including 802.11 b/g/n wireless internet access (optional), so you may browse freely through the virtual world with efficiency and convenience. AE1900 only needs 45 watts of power while in full operation, which saves up to 80% of power compared to traditional PC, achieving the perfect balance between efficiency and power usage. * Results may vary under conditions and settings. There is no need to worry about the fan noises like traditional PC! AE1900 selected the latest cooling technology, so the noise level will never exceed 26 decibels, which is equivalent to the surroundings of a library, establishing the most comfortable working environment. Also, AE1900 has met the highest qualifications like Energy Star 5.0. AE1900 is the perfect combination of energy-saving and environmental protection. The embedded high pixel webcam, high quality microphone, along with 2 sets of 3 watts realistic speakers all incorporate into one complete design, saving space at your work station while expressing fashion and technology. It’s capable of broadcasting live at anytime, saving every moment, and not missing a single frame. The photo quality is sharp and brilliant in colors, both indoors and outdoors, making instant message a lot more fun. Wind Top AE1900 provides complete I/O ports, including four-in-one card reader, for main stream memory cards, making it easy to save files. USB 2.0 can connect products such as PDA, digital camera, digital video camera, and digital MP3 players. DVD Super Multi is also ready to play DVD movie or back up important document at your demand.